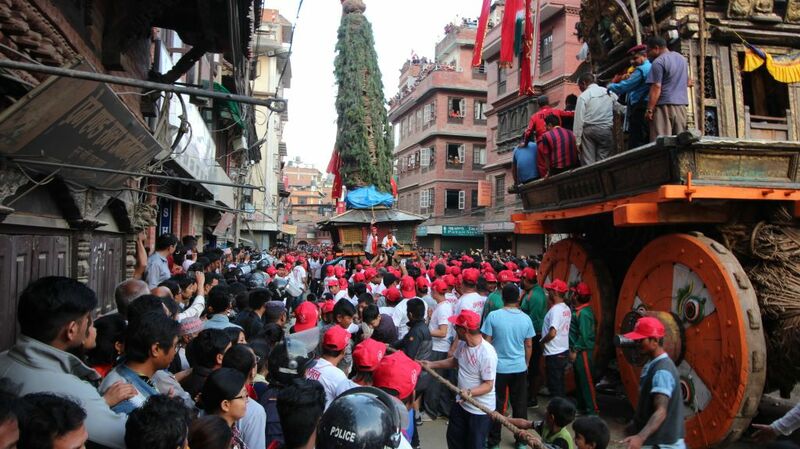 The Nepali 2075 new year festival, Bisket Jatra is without a doubt is the most boisterous festival in the country and its held right here in Patan. For nine days between April 11th to the 18th 2 massive chariots are pulled with ropes through the streets and alleys of the city. Although it sounds like a festive event the truth is the thousands upon thousands of pullers and participants often ramp the excitement to a fervor and numerous fatalities occur yearly under the wheels of the massive chariots. Its like Pampalonas running of the bulls, getting in the path means risking your life. 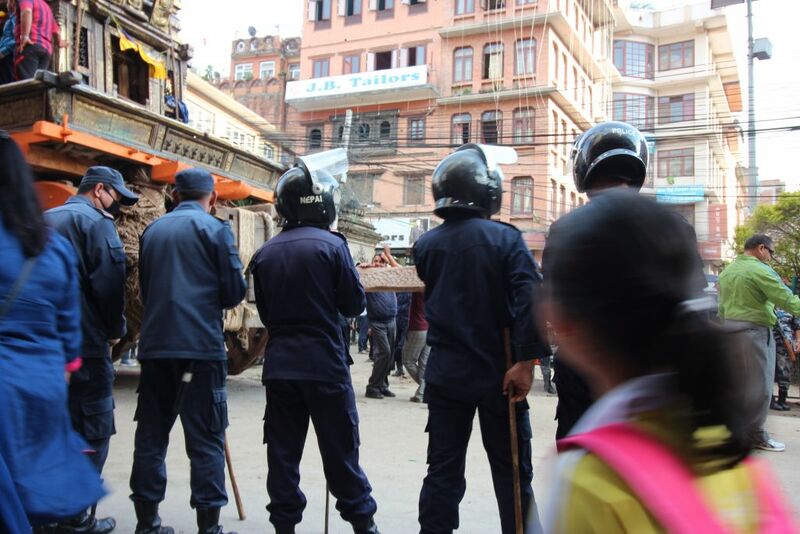 I was lucky enough to buddy up to a phalanx of Nepali police wearing full riot gear. They carried guns with large barrels that turned out to be sounding shots signaling the beginning of the of the chariot pull.